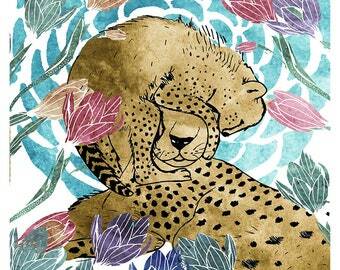 Cards, prints and stickers for nature lovers. Wolf Vinyl sticker. Purple, indigo, blue wolf. Wolf decal. Wildlife Sticker. Wolves Greeting Card print. Howling wolves. Blank and inside. A2 card. Blue Wolves. Snuggly Foxes notepad and Journal. Art Print. Hummingbirds art. Springtime art print. Family of Hummingbirds. Set of three cards. Greeting cards, reduced price, blank inside. Orca Whale. Expressing Freely. Greeting card. Fox Seek Out. Handcrafted Bear and Deer Diorama card. Trifold greeting card. Nature wildlife stationery. Nature Art landscape. Fox jumping Vinyl Sticker. Red Fox illustration sticker. Fox Decal. Elephant Greeting card. Blank inside. Elephant illustration. Wildlife note card. Whale Art Print. Book art reproduction. Illustration print. Whale art print. Watercolor collage. Color pencil art print. Three cats greeting card. Blank inside. Ditto. Ditto. Ditto. Ditto. Ditto. Owl Vinyl Sticker. Illustration Sticker. Polar Bear Sticker.Decal. Vinyl sticker. I do not offer returns or exchanges at the moment, unless you purchased something by accident or the incorrect item was sent to you. Otherwise, all sales are final. Your item won't be shipped until full payment is received. There is a 24 hour cancellation policy so please be mindful before you choose. Purchased items are shipped in the mail on Tuesday afternoons. Items will be sent via standard USPS priority mail. Please let me know prior to purchase if you would like express or tracked post.